CUSTOM DESIGN YOUR OWN LOG HOME!! 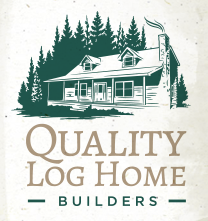 Quality Log Home Builders designs each log home and log cabin exactly the way the homeowner wants! It’s included with every package option!! Take a look at some of our log homes that we have recently built. If you see one in particular that you like, we can price it like it is, or we can use that design to create your own custom plan at no extra charge!! Click on each Project to view floor layouts and to see more beautiful pictures of each log home! See some of our beautiful wood crafting to get some ideas for your log home! Take a look at the steps we take in building a new log home.